Sweat…it’s not just a sign of a good workout! 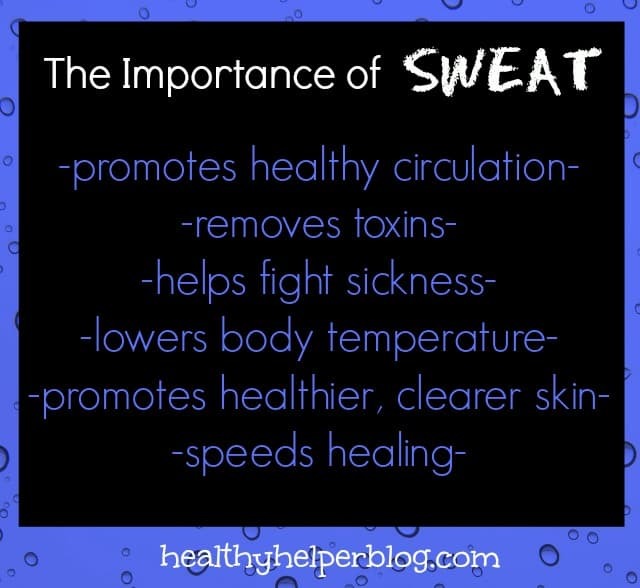 Sweat is so important for our body’s daily functioning and for overall health. Read this post to find out more about the benefits of sweating regularly! One the things I love about yoga is how every class is different. Sure there is a basic flow and foundation that is followed each time, but you truly never know what is going to come next. One thing you can count on in every class however, is….SWEAT. Buckets and buckets of it. And me? I’m a major sweater as it is! Even the teacher comments on how efficient I am at cooling my body! It’s probably why I enjoy hot weather so much. The hotter the better! Even though class is heated, after about ten minutes of being in there, I swear I don’t even feel it any more! So even though sweat is sort of gross in a sense…it’s actually so important for us and has a lot of healthy benefits as well! Today, we’re talking about the importance of sweat…plus I am sharing two workouts that will help you get your sweat glands pumping! Let me know if you give either of these a try! Have a great day….and get SWEATY! What’s your favorite way to work up a sweat? Are you a hot weather or a cold weather person? Great post! I am always the one with the buckets of sweat pouring off of her in fitness class. Now I know that isn’t a bad thing. Sharing! 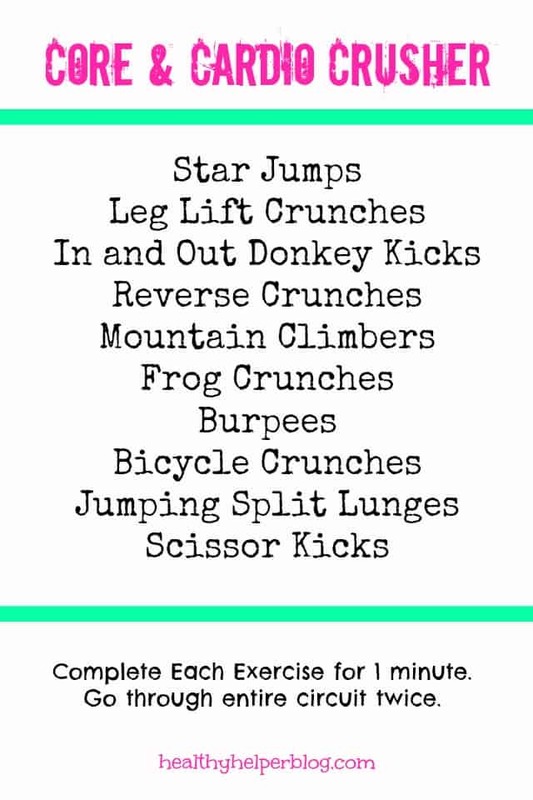 great workouts! pinned to try! I don’t know if I would say that I’m a heavy sweater but I definitely sweat a lot on hot runs and at hot yoga! I love it though! Same here! The sweatier the better! Yes, I’m a big time sweater! My favorite way is running–and I definitely prefer cooler weather–it gets super hot in Austin though so I have to just embrace it! I’m a hot weather girl myself!! I’m sure if love Austin’s weather!! I knew sweat was important but had no idea it was for all these reasons! Thanks for sharing! Awesome post! I love the feeling of sweat dripping off me after a good workout. It just makes it feel so satisfying ! Definitely! Love working up a good sweat!! Haha yes! There is a lot more to sweat than that! That core crusher workout looks awesome!! Pinning it for a speedy workout. I’m a super-cold person, so I love working out so I can warm up in the winter. It feels SO good to sweat 🙂 ! Yes totally agree with you there! No better way to warm up than with a workout! Woah I didn’t know it even helps with your immune system; I’m seriously just so amazed at God and how He made sweat a gift too, something that our bodies need! This is pretty incredible Kaila; thank you so much for sharing. Thanks Em! I am so happy you liked the post! I was on a workout hiatus the past few months for no good reason(ha! ), but now I am back on track and SO happy to be sweating again! 😉 Awesome post!! I am the TOTAL opposite!! I looooove hot weather. Very interesting. 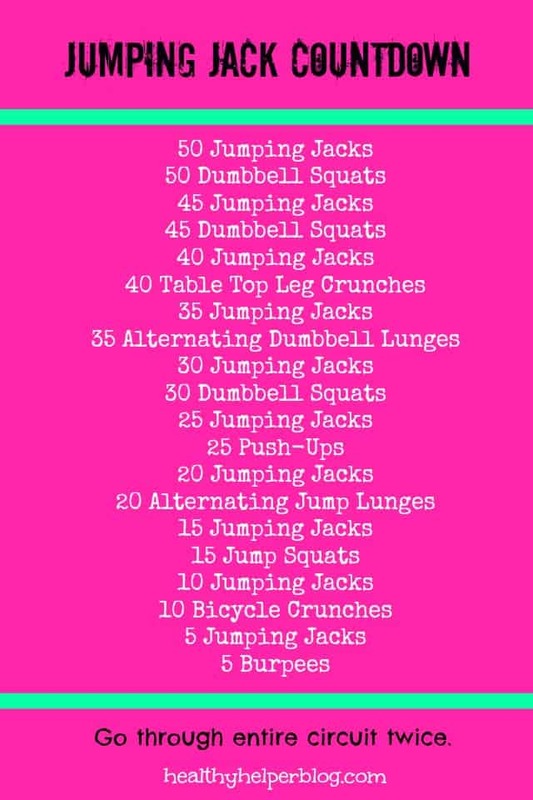 My goal for the upcoming month is to start incorporating more exercise and this is a great motivator to get good and sweaty! Thanks! Hope you’re successful with your goal!